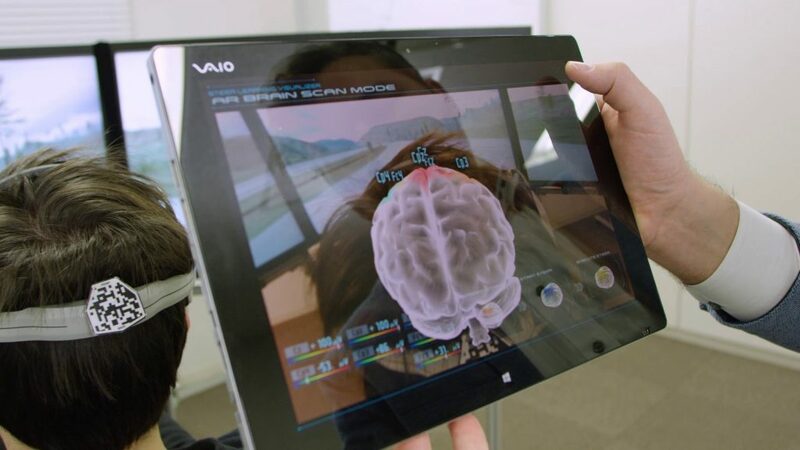 Boffins at the Japanese car maker have been exploring electroencephalography, or EEG. This is the ability to read neurons firing in the brain, and certain neurons can be associated with specific activities. Capturing these electrical patterns in a person’s brain requires the use of a headset fitted with electrodes that sit on a person’s scalp. To date, researchers have used such headsets to manipulate computer games, control prosthetic limbs or operate wheelchairs. 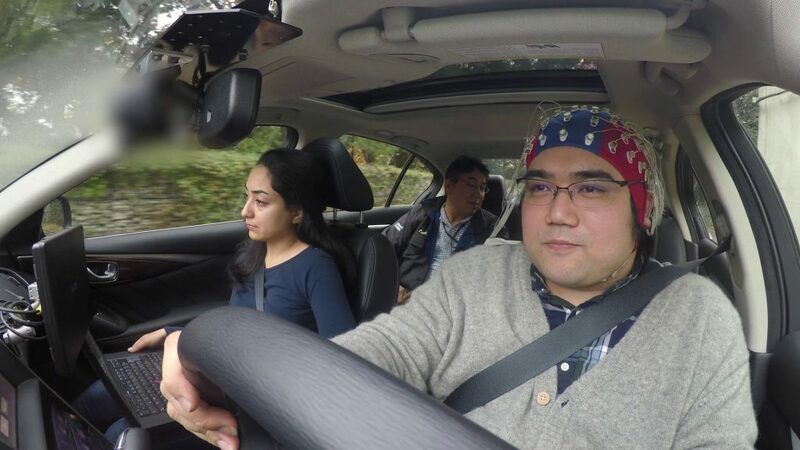 Nissan says it is now able to use EEG to help control a car – using what it calls ‘brain-to-vehicle’ technology. A driver’s reaction time to an unfolding emergency can be several seconds. By reading their mind, Nissan suggests that a car with self-driving capability could react faster to an emergency than a driver could physically manage, reducing the delay by as much as half a second. Imagine a car was to pull out of a driveway without spotting oncoming traffic. The approaching Nissan would have read the driver’s neurons and applied emergency braking or steered around the obstacle before the driver had moved their foot to apply the brakes, or turned the steering wheel to swerve. This year, road safety charity Brake carried out a study into drivers’ reaction times. Working with experts at the Transport Research Laboratory (TRL), it discovered that average reaction times are far greater than those given by the Highway Code. At 30mph, Brake and TRL claimed that reaction times mean it takes 11 metres further to stop a car than the Highway Code states. And at 70mph, that grows to 25 metres. The driver wears an electrode-studded skullcap. This captures their brain activity and interprets it using artificial intelligence. Watch the video to see Nissan’s innovation in action. When might brain-to-vehicle technology be fitted to cars? Don’t call your local Nissan dealer just yet. The company says the technology is in its infancy. As a result, it believes it won’t be ready for the next five to 10 years. It began working on the project in 2011, with the help of scientists at the École Polytechnique Fédérale de Lausanne (EPFL), in Switzerland. One possible reason Nissan is researching brain-to-vehicle technology is that studies have highlighted a serious problem with self-driving cars. When a driver needs to take back control of an autonomous vehicle, the process can take up to 55 seconds. Research, conducted by academics at the University of the West of England, said that autonomous vehicles driving at 50mph could travel around three quarters of a mile in the time it took for drivers to regain full control.